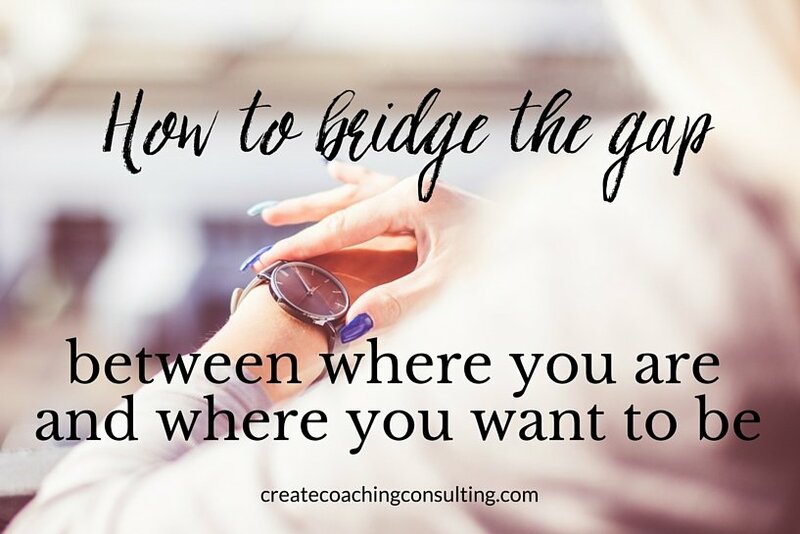 When you’re in the midst of trying to make big changes in your life, you may feel the struggle between achieving your long-term goals, and staying focused on the present moment. 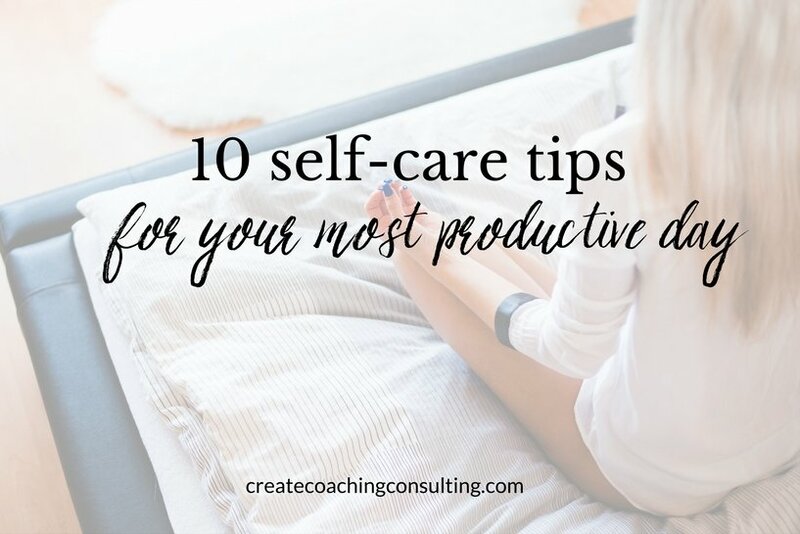 The day-to-day tasks of working, managing finances, having a social life, and just taking care of ourselves can keep us focused on the present. We can get so caught up in our daily routine that we don’t take the time to even think about our vision or the goals we set for our future. If you an achiever and a goal-setter, you’ve likely set aside time to envision what it is you want for yourself and your life. Maybe you’ve even put it on paper. You also likely know that turning that vision into a reality requires require shifting your mindset from where you currently are to where you want to be. When we are disconnected from our vision, we often spend our days just going through the motions — feeling uninspired, lacking the energy and the passion, and totally out of touch with what it is we really want. We’re doing what is right in front of us, what we feel “needs” to get done. Going through the routine motions of life every day can disconnect us from what we are truly working for, and why we are working toward it in the first place. Even though checking things off our never-ending to-do list can make us feel productive and accomplished, realizing that we haven’t been paying attention to a long-term goal or vision we set for ourselves can be a wake-up call. So how can you remain productive in your daily life and enjoy in the present moment, while still working toward your dream? You have a big goal for your life, whether it’s starting a business, making a career change, starting a relationship or family, making a certain amount of income, buying a home, traveling abroad, or something else. One way to do a visioning exercise is by simply sitting down and listing what you want to see in your life. When you are finished making your list, read it back to yourself. How excited, passionate, and inspired do you feel? What else can you add to your list to feel even more excited? Once you have your vision, you have a mental picture that you can keep in mind going forward. It can be tempting to spend a lot of time imagining having all the things you want in your life. But a vision requires action to bring it into reality. Inspired action comes from the creativity you feel when you are truly connected to your vision. How can you move through your day-to-day tasks with inspired action, all while keeping in mind the broader vision you have for your life? Tap into your vision daily. If you are a visual person, you might want to keep a reminder of your vision (a word or sentence, a photo, a vision board) in a place where you can see it regularly. You could also make a playlist or listen to music that helps you tap into your creativity and what you want for the future. Try a visualization meditation every day to stay connected. Find inspiration wherever you can. Since it’s so easy to get caught up in your daily responsibilities, make it easy for yourself to access things that inspire you. Follow experts or people you admire, read blogs that inspire you, talk to others who have made it further along the path. 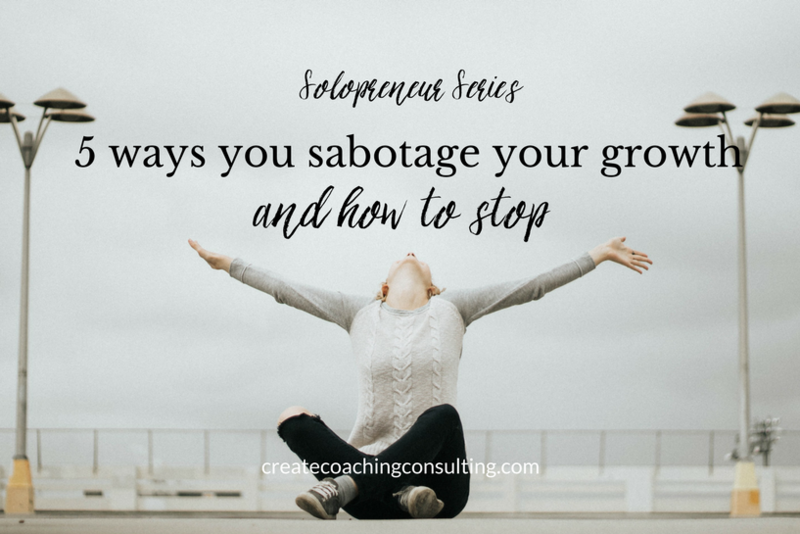 When I am feeling frustrated or disconnected, there are a few experts I go to regularly to adjust my mindset and feel inspired to move forward again. Seek out these sources of inspiration so you can call on them when need be. Do a quality check. Step back and look at your how you spend your day, all of it. 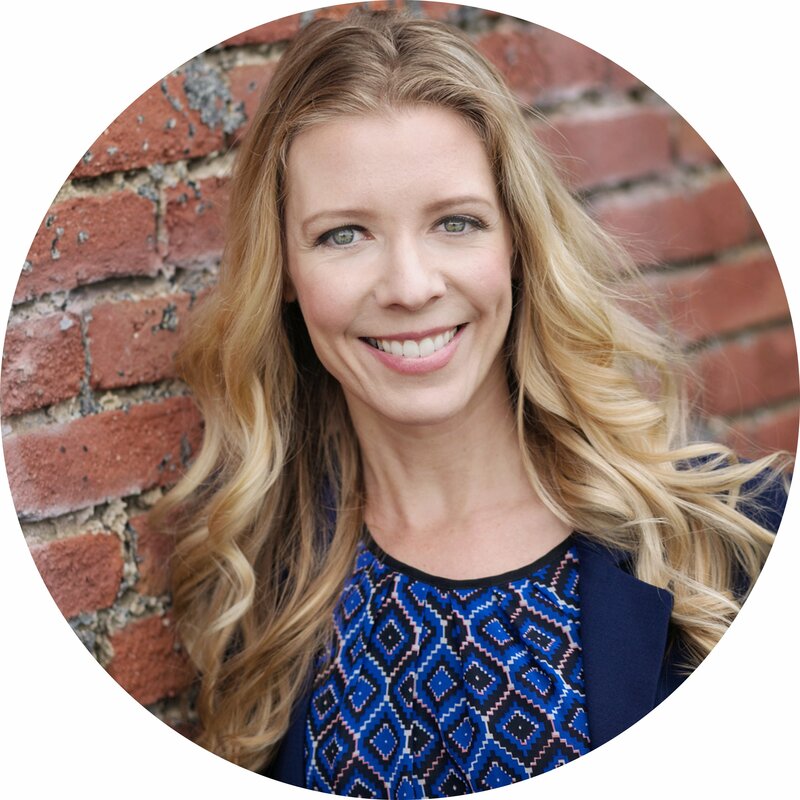 Are the hours you are spending on social media, going to events, watching TV, surfing the interwebs, are they truly in alignment with your long-term vision? If you were a person who was already where you aspire to be, how would you spend your day? What kinds of new habits or tasks could you incorporate, based on where you truly want to be? Identify your most important thing every day. There are a lot of things we feel we “need to do” on a daily basis. But how many of them are absolutely necessary? And how many times do we choose to complete the small, easy things instead of tackle the big, strategic things that move us closer to our achieving our goals? 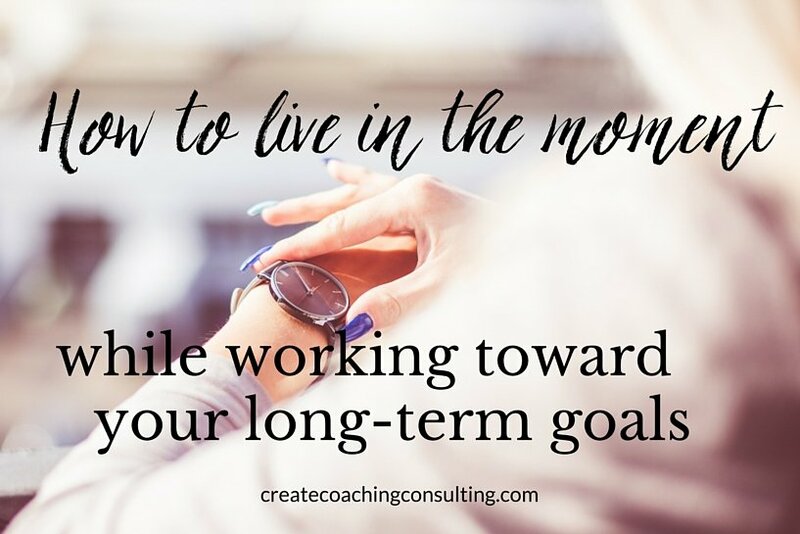 One way to make sure you’re working toward your big goals on a daily basis is to set aside time each day to ask yourself, “What is the single most important thing I can do today that will bring me closer to my long-term goals?” Schedule time to work on that thing. Don’t expect to feel inspired 100% all the time. 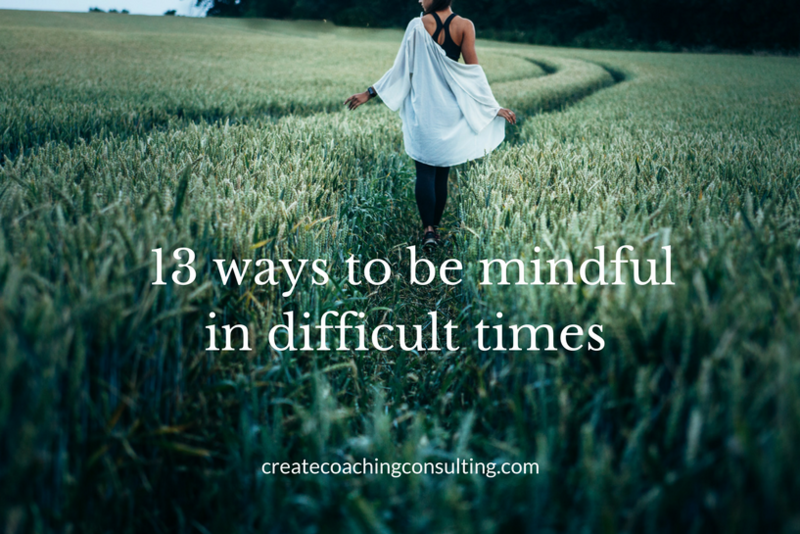 It’s hard to feel inspired and connected to your long-term vision when you are paying bills, or dealing with a difficult client or boss, or in an argument with a friend. But remind yourself that you are practicing connecting to your vision so that you can call on it, anywhere anytime anyplace. Developing this practice will make it easier to remember what you’re working toward, even when you do get stuck in a routine. Connecting to your overall vision on a regular basis can help you become more resilient and able to handle the struggles of everyday life. Practice gratitude. Life doesn’t always work out in the way that we planned, in the timing that we want. One way of staying in the present moment and appreciating where you are is practicing gratitude. What are you grateful for in your life right now? Can you appreciate how far you have come to this point? What have you accomplished thus far that you are proud of? Relax and trust the process. Remember that all is happening in divine timing. Sometimes you may be taking actions that align with your vision and feeling great. Other times, you will have to attend to the tasks at hand. It’s all a balance. When it starts to feel hard, how can you release any expectations you have placed on yourself? What can you surrender so that you are more open to the flow? Instead of struggling so hard against the current, we can relax and trust the process. It’s all about cultivating balance: enjoying the present moment, being grateful for where you are, and yet still feeling inspired and excited about your future. 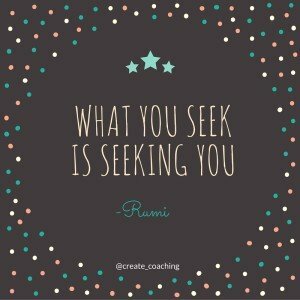 Remember, the thing you seek is seeking you. If you liked this post, read more just like it on a regular basis! Subscribe to my updates. I’ve screen shot a bunch of quotes, words or phrases throughout this whole post. Going to reference them daily for a better me. I am truly in love with your blog.